While the announcement of Microsoft’s acquisition of Nokia’s mobile business came in last year, the process and legalities are still currently in process. Now, according to a leaked email sent to Microsoft suppliers and Nokia account users, brings one important detail to forth; that Nokia will be rechristened as Microsoft Mobile post the acquisition which is expected to be over by end of this month. This news is very sad at different levels and it is especially true if you are an Indian. Nokia ruled Indian mobile handset market for nearly a decade and during their hay days they were one of the most liked and most trusted brand in India. And very soon it will be no more. Another fact that you may not be aware of is that Nokia is 143 year old brand, which was first established in 1871 when the company was incorporated in Finland. 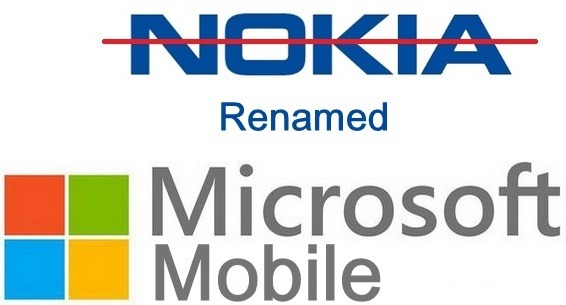 According to Nokia Power User blog, who first reported the leaked email sent to suppliers, states that the company will be renamed from Nokia Oyj to Microsoft Mobile Oy, which will be a wholly-owned Microsoft subsidiary and will be the mobile devices arm of Microsoft. This also gets clearly mentioned in the mail sent to Nokia account holders. Nokia will only continue to run its Telecom networks and infrastructure business (Nokia Siemens Network), HERE location based mapping products and Advanced Technologies business. On the other hand, post-acquisition, Microsoft will assume all rights, benefits and IP of Nokia Devices and Services business that includes Nokia’s agreement with suppliers and partners. This will essentially be renamed to Microsoft Mobile. While in the US and most European countries it will not be a problem, but in India it is sure to face a roadblock and there is a legal dispute currently going on in Indian courts in regards to Rs. 2,400 tax claim made by Government of Tamil Nadu. The good thing for suppliers after the name change is that their existing terms and conditions they have with Nokia’s Devices and Services business will not change and will be completely honoured by Microsoft post the deal completion. You may also contact us at: Microsoft Mobile Oy, c/o Privacy, Keilaranta 7, 02150 Espoo, Finland or Nokia Corporation, c/o Privacy, Keilalahdentie 4, 02150 Espoo, Finland. Email sent to existing Nokia Suppliers. For further information on changes (legal address/send to address) after the close of the transaction between Microsoft and the Nokia Devices and Services business, please check our Invoice Address Search tool (IAS):https://ap.nokia.com/APPortalExt/AddressSearch.aspx (No registration required), or contact us via AP Portal: required).